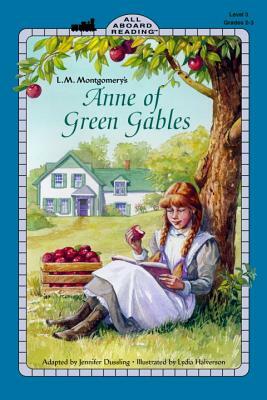 Anne is a young orphan who finally finds a home at Green Gables, but it's not exactly smooth sailing. Anne always seems to find herself getting into scrapes This easy-to-read adaptation of L.M. Montgomery's classic is guaranteed to hook beginning readers not yet ready to tackle the original. Jennifer Dussling lives in Highland Park, NY. Lydia Halverson lives in Evanston, IL.